This is our second Christmas in Ghana. We are celebrating by posting again what we posted for our first Christmas. It is uniquely Ghanaian. When Jesus said that his kingdom is not “of this world”, his meek approach to power must be one of the things he meant. Through simple grassroots action, such as Bible translation, that kingdom is expanding around the world. There is a power in the Gospel even when to this world it seems timid, meek, or irrelevant, just as did Jesus birth. This was originally posted in December 2011. 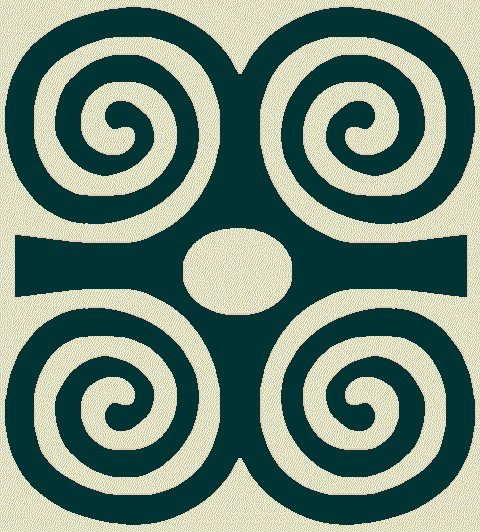 This entry was posted in Christianity, Culture, Ghana and tagged adinkra, Christmas, Dwennimmen, rams' horns. Bookmark the permalink.